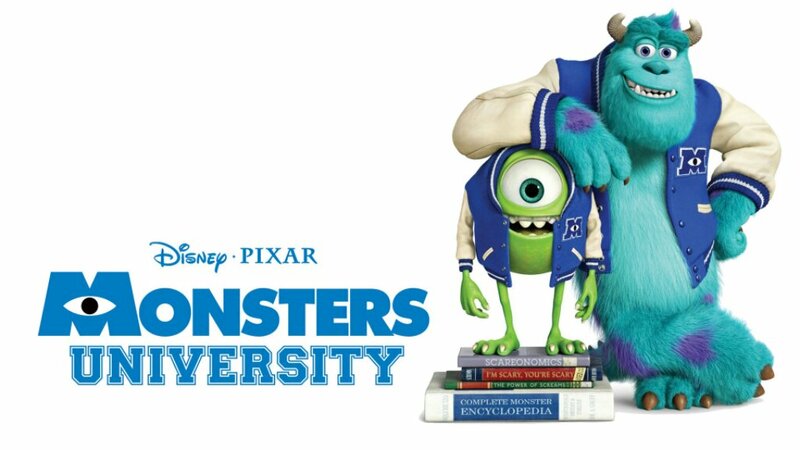 Monsters University – Review – Screenkicker! University always looks great in movies. It’s endless parties and pranks, and hardly any studying or exams. What would make college even better though? What makes anything in life better? Yeah that’s right – monsters! This meant I was still excited for Monsters University even when I discovered it was showing in 3D (you can learn more about my epic war against 3D here). 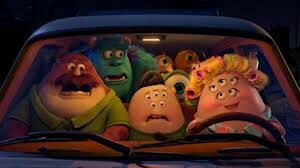 MU is a prequel to the Pixar classic Monsters Inc. and follows the college days of Mike Wazowski and James Sullivan. Both have been accepted by Monsters University as scare students meaning they are there to learn how to frighten small children. Billy Crystal and John Goodman are back as our scary heroes and Helen Mirren joins the class as the intimidating dean of the uni. Pixar’s track record with sequels has been patchy with hits like the Toy Story films and misses with Cars 2. Where does MU fit in this scale of quality? The good news is that it’s nearer the Toy Story side. This is Pixar having fun. They aren’t attempting to make any great point about anything, there are no sad parts like Up or Toy Story, it’s just a good old-fashioned romp. It’s this focus on fun and comedy that makes MU worth it’s ticket price. The number of sight gags, wordplay, and slapstick means that the audience is never bored. The story is fairly predictable with Mike and Sully entering a competition called The Scare Games with a team of nerds who have to learn how to be frightening. It then becomes an affectionate homage to college films from the 80s and really hits it’s stride. Mike and Sully’s gang of dorks are great fun with each member being socially awkward but totally lovable. Mike and Sully don’t get along at first. Wonder if they’ll become friends? There’s nothing more to it than a hilarious underdog story. And that’s OK. MU sets out to entertain for ninety minutes and succeeds beautifully. Pixar had seemingly lost their sense of fun with Brave which although a good film in it’s own right had a seriousness about it that was becoming predictable. MU is what happens when all pretention is dropped and the end goal is to make something bright, colourful and funny. It’s Animal House with monsters and is guaranteed to put a big grin on your face by the end.